Jony Ive The Genius Behind Apple’s Greatest Products is a handsome, silver and black jacketed, 320 page book that isn’t exactly a biography. It covers Sir Jonathan Ive’s early family life, schooling, higher education, and working life before Apple, as well as the products he is so well known for. It is, I would say, more a study of the man’s work history, methods, philosophy, accomplishments, and the challenges behind them. In as much as anyone can study such things relating to an intensely private individual who works at perhaps the most secretive company in the world! 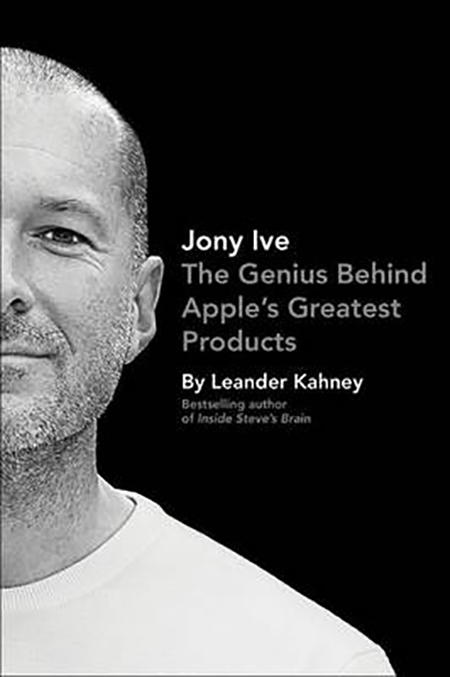 Leander Kahney has covered Apple for many years and has met Jony Ive at least once. Here he brings together a wealth of information, quotes, and comments by contemporaries and colleagues, and compiles it into an enjoyable and easy to follow book. It is organised relatively chronologically, but where timelines overlap, or events relate to a specific device to some extent, they are sometimes separated into relevant chapters to avoid unnecessary confusion. Jony Ive The Genius Behind Apple’s Greatest Products breaks down into 13 Chapters: School Days; A British Design Education; Life in London; Early Days at Apple; Jobs Returns to Apple; A String of Hits; The Design Studio Behind the Iron Curtain; Design of the iPod; Manufacturing, Materials and Other Matters; The iPhone; The iPad; Unibody Everywhere; and Apple’s MVP. The self explanatory titles describe the main thrust of the content of each. There are also Notes crediting the sources, an Index, and a few pages of black and white photographs. I found this an interesting and pleasurable read. It was also a relatively easy read; it wasn’t overly technical or bogged down in minutiae of little or no real interest or relevance to the average reader. I found myself drawn into it and keen to read more. If I were to raise any criticisms I think it might be that perhaps Leander lets his admiration for Sir Jonathan shine through just a little too much. No one is perfect, and I don’t think even Jony Ive would take it too badly if we pointed out that perhaps the “hockey puck” mouse was a triumph of form over function. Or that no matter how hard they have tried, the Apple Design Group haven’t always got everything absolutely perfect every time. However, it doesn’t spoil the book. It certainly is a study of the man and not a paean of praise. I found this book well worth reading. It was easy to understand, not difficult to follow due to sensible chapter choices, and informative enough to make me feel I had developed at least a little more understanding of Sir Jonathan, his work, and how Apple goes about developing products.